Reports of counterfeit money continued across the state this year and they’ve been picking up recently during the busy holiday times. Hiawatha Police Chief Dennis Marks tells KCRG TV bills that say ‘motion picture money’ on them have fooled some people because they tend to look more real than others. “The key is just slow down and take a look,” Marks says. He says they people passing the fake money take advantage of busy retailers. “It could be in convenience stores or with any retailer,” according to Marks. “They might not realize it until the bank calls them the next day.” Marks says the motion picture money bills aren’t the only ones in circulation. He advised people, if it doesn’t look right or feel right, it probably isn’t. “It’s difficult if you’re in a hurry to notice the differences but there are differences,” Marks says. In some cases a business may not have any way to get reimbursed if they take counterfeit money without realizing it’s fake. The Iowa Court of Appeals ruled that if the document isn’t capable of deceiving, it doesn’t constitute forgery. 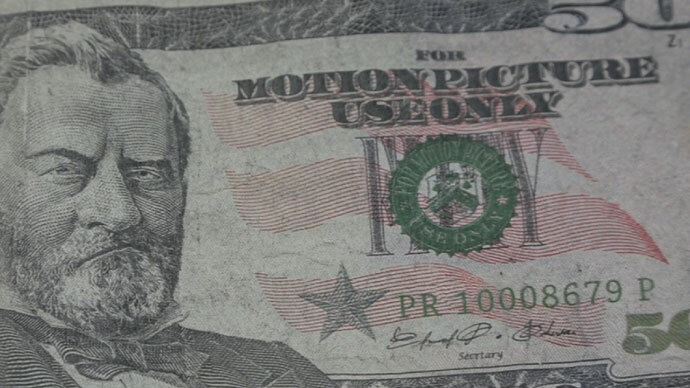 “If it says that it’s motion picture money on there, are you really passing it as counterfeit,” Marks explains, “it says right on there that it’s bogus.” It’s not just happening to the big bills, either, as he says they’ve seen counterfeits in as low as five or ten dollar denominations. 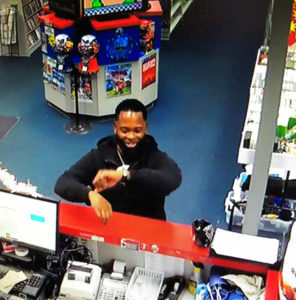 Cedar Rapids police are asking for help identifying this man. Cedar Rapids police are investigating several incidents of counterfeit 100-dollar bills being passed at businesses earlier this week. At least three different businesses have received counterfeit currency. 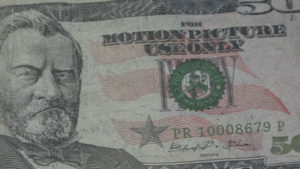 Investigators have determined that the serial number was the same on all three 100 bills. They released a picture of the suspects, hoping the public can help identify them. Police in Dubuque have more than 100 cases of counterfeit money this year. Lieutenant Joe Messerich (meh-ser-rich) says store employees in Dubuque are getting good at spotting fake currency, but it’s not so easy for people who don’t handle money all the time. He says people who are selling things on Facebook or Craigslist, or landlords who take cash for rent. “Just kind of the every day public that doesn’t usually work behind a register that’s taking cash for payment, sometimes they are getting duped with these big bills,” according toe Messerich. Dubuque police have investigated 123 cases involving counterfeit currency this year, in denominations from 5 to 100 dollars. The latest case is a 100 dollar bill. He says it’s a more obvious fake than some others found in the city this year because it has foreign writing on it, and he says sometimes the money just doesn’t feel right. Messerich blames high quality printers, and websites selling fake bills, for making counterfeiting an increasing problem for law enforcement, locally and nationwide. His advice includes don’t be in a hurry to accept payment from someone, and if you are going to, then meet them at their bank and watch them withdraw the money. Good information is also available from the Secret Service and the website: uscurrency.gov.